Who doesn’t love a good makeover story? A story in which the main character begins as a hopeless reject, someone lovable but ignored or unjustly treated, only to eventually find “it” and realize their potential and who they’re meant to be. How about Cinderella? My Fair Lady? Rocky? She’s All That? More recently, Frozen, and to a degree, even the Hunger Games series? This doesn’t even include all the TV shows that include this in their premise: Extreme Home Makeover, Restaurant Impossible, The Voice. People have loved this type of story for centuries and will likely go on loving it as long as human beings are around. Admittedly, it feels great to see someone rise from the mire of a former life and become something greater. What’s not to love? What happens when this premise is tweaked a bit, and the makeover, or better yet, the redemption of the main character doesn’t take place? That the cure-all, fix-everything “it” becomes all elusive and difficult to grasp? I’d venture to say that the experience of every human being is something in between these two story types. We either see our life as a long, slow journey towards a goal that we realize… or not. Or maybe it comes further down the road. Or maybe the journey is in the opposite direction and we can’t seem to stay on the path towards our destination. Every human being is a work in progress. The prophet Isaiah refers to the human soul as the potter’s clay, being shaped and molded as we go through our life. Where we find ourselves at age 5 is not the same place as where we find ourselves at age 25, or 35, or 45. Although our identity never changes, our mind and our soul do. Sometimes a little, sometimes a great deal. Some of the most popular characters in fiction wrestle with an inner struggle, and we love it. If Heracles were all god or all human, rather than both, where would the conflict be? If there was a Dr. Jekyll without Mr. Hyde, why would we care? If Bruce Banner were able to control his transformations into the Hulk without any trouble or effect on his personal life, would the character have lasted this long? Someone once said that the essence of any good story is in its conflict. When we have conflict, we have an interesting story. When there is no conflict- be it with others, within ourselves, with God/fate/destiny/etc- we don’t have much of a story, do we? These were the questions Chris Claremont brought to the table when he began writing the character of Wolverine in 1975. 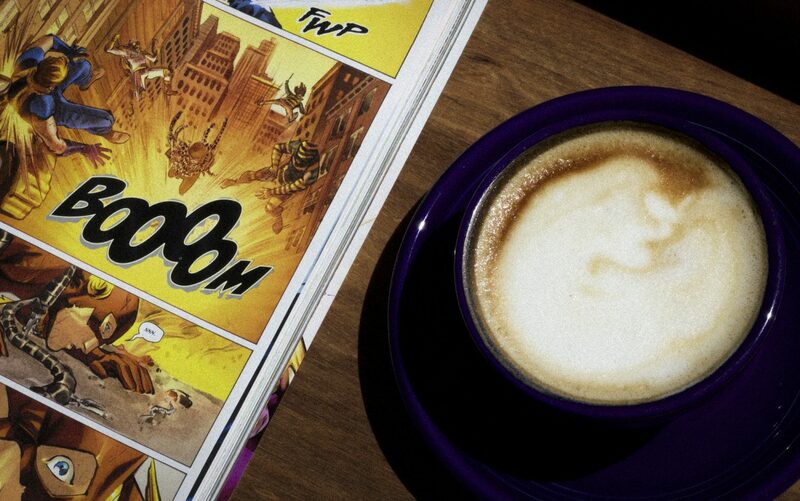 Although created by Len Wein and John Romita to be little more than an angry adversary for the Hulk in 1973, it was only when Claremont (with help from John Byrne and Frank Miller) took on the character that he exploded into one of the most popular heroes in all of comicdom. 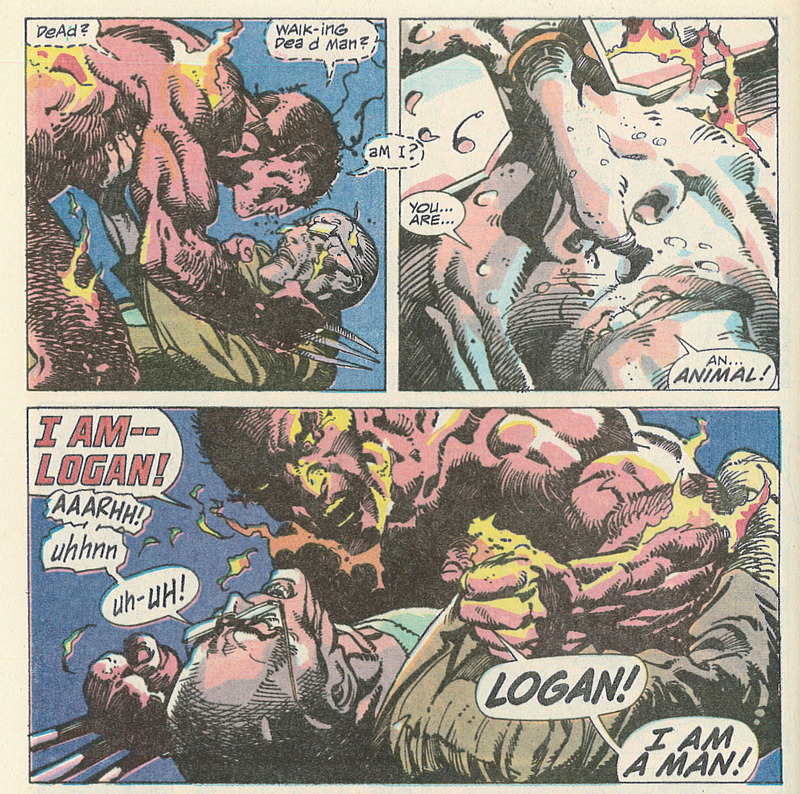 Claremont has often said that after the first few years of writing Wolverine in Uncanny X-Men, “the angry berserker” stereotype was so boring and one dimensional that he wanted to write the character out of the book. All of that changed when the all-important question of “what makes this character tick?” (aka “so what?”) was asked in 1982. Millions of fans agreed. Wolverine’s first solo book, the classic Claremont/Miller collaboration which explored Logan’s inner struggle, as well as his later ongoing series and multiple appearances in other books which dealt with the same themes catapulted the character to superstardom. These stories are the basis for Hugh Jackman’s superb depiction of the character in now seven movies, with two more coming in the next two years. 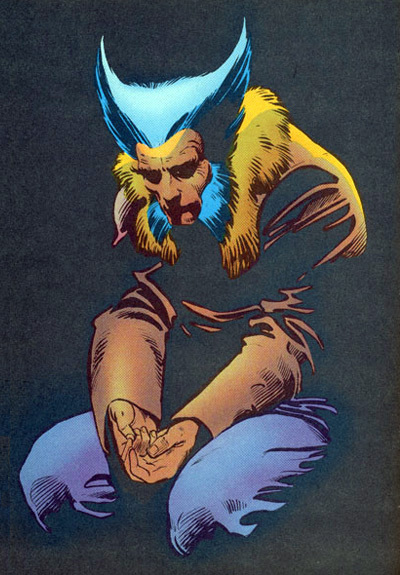 This conflicted, tragic approach to the character is what has made Wolverine so endearing to readers and audiences in the last thirty years. 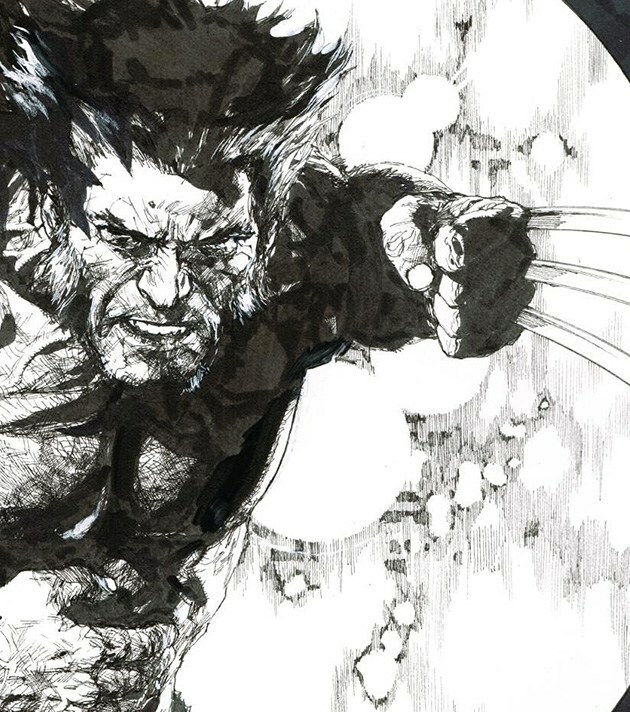 We identify with this take on Wolverine and other characters because to a degree, each of us has an inner struggle within us, the proverbial “thorn in our side,” to quote Paul, that keeps us away from our ultimate objective, the “makeover” we all seek. To be human is to make mistakes, and to try to become better than we are. This theology, I was amazed to discover after I went to seminary, is very fundamental to Orthodox Christian belief, as well. Rather than look at salvation or heaven and hell as places- the oft-coined “reward” or “punishment”- we see them as a process, a state of the soul. Not be confused with salvation as a result of works, it is viewed rather as a pursuit of perfection, of union with God, when all the “rough edges” will finally be taken away and we realize our true potential, what we were originally created to be. Our entire time spent on this earth is one in which we continually work to smooth out those bumps and warts, and to slowly overcome the berserker within and win our inner struggle. If conflict is the essence of a good story, than the story of our life is the best one there is. We humans struggle with ourselves, with one another, and even with God, as we continue the journey of becoming who we’re meant to be. 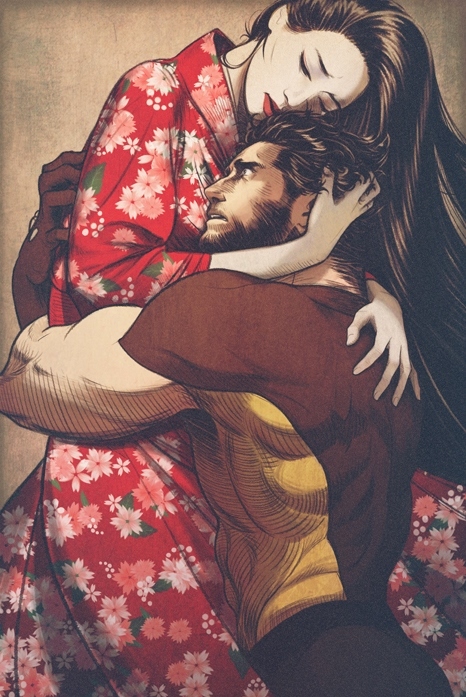 This is why Wolverine and characters like him have become so hugely successful- a good writer understands that to be human is to struggle, to change and to grow. Like I said, who doesn’t love a good makeover story?